The YouTube subpocalypse is for real and my YouTube channel could use your support. I need 1,000 subscribers to survive and it's at 737 subscribers right now, an increase from when the bad news broke, but I still need 263 more. While the revenue generated is small compared to a Game Grumps or a NoDQ it's still very much necessary to keep our operation running. Please subscribe to Mistah MegaManFan and help me out! Both Slam! 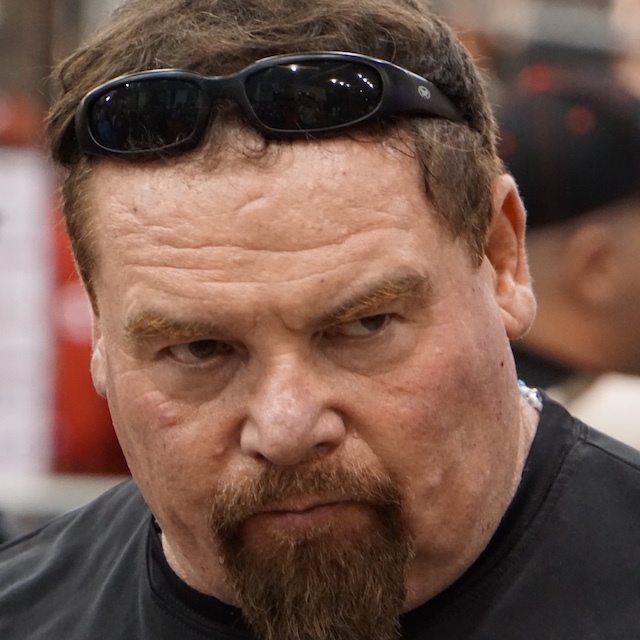 Wrestling and B. Brian Blair are reporting the passing of Jim "The Anvil" Neidhart, and WWE's website confirms Neidhart's passing as well. Jim was one half of the legendary Hart Foundation alongside Bret "The Hitman" Hart, and father to current WWE superstar Natalya Neidhart. No other details are available at this time. We would like to express our condolences to his many fans (myself included) as well as the entire extended Hart and Neidhart family. Neidhart was 63 and would have turned 64 on Feb. 8th next year. According to this TMZ interview Enzo Amore's not interested in coming back to "fake fighting": "There ain't nobody who's got enough money to put me back in the ring, kid. Not unless it's 'Creed 3' dog and I'm fighting Adonis Creed." 2:00 PM ET. Petey Williams talks about Chris Jericho possibly coming to Impact: "At this point I wouldn't be shocked because of everything you just read. Canadian-based company, Don Callis, Scott D'Amore, I wouldn't be shocked. Before when he teased years ago coming in I would be like, 'Ah, that's not gonna happen', but now I wouldn't be as shocked. Jericho's doing his own thing, he's going off to New Japan and his cruise and all that kind of stuff. He doesn't really need WWE anymore. He's got his band, all that kind of stuff. So why not for him have a little bit of fun? I've even heard him getting in his last run backstage he'd be be getting heat with somebody because politics, whatever the case may be. He's gonna come to IMPACT and there'd be none of that. But let me say this, I have no idea if he's coming. I figured those decisions will probably be held really close to Scott, Don, probably Sonjay and Jimmy. Those are probably the only four people that know if he comes. If he doesn't come in or if he comes. But they're not gonna spread that, they're not gonna let that leak out or whatever the case may be. And then the next question is what do they do? Who does he feud with? When does he come? How does he so it? All that kind of stuff which will probably be for future podcasts if he ends up coming to IMPACT." New wrestling related videos are available below. Here Becky Lynch says she's not thrilled Charlotte Flair got added to her match: "Yeah, of course it does. Of course it does, I'm not going to be happy about it. Friendship and everything aside, it has been something that I've been working for my entire life, and it's something I've been focusing on, and I've been on a winning streak and a hot streak, and there was nobody that could beat me. I feel like it's a testament to my mindset, and my work, and of course when you get a spanner thrown in the works, it is going to irritate you. But it's just more of a setback that I'm now used to, to climb the mountain. To overcome obstacles, it has been (that way) my whole career. Nothing comes easy for me, but that's what makes every victory that bit sweeter." 3:00 PM ET. Nick Aldis talks about his bicep tear in 2015: "I tore my bicep at the end of 2015 and that was a really rough surgery and a really rough recovery and stuff like that. Obviously, I have always held a lot of my personal value in my physique and my fitness and stuff like that and there are pictures of me where I just look like death, I look horrible. I came back too soon because I had a kid to feed. I just looked at myself like, 'what are you doing? I had no imagination, no ideas, I felt like my body of work because of Impact and TNA and the ill-will that they had earned themselves - which was completely out of my control - I felt like my body of work had been somewhat forgotten. Like the fact that I submitted Sting on a pay-per-view. I mean I've beat Kurt Angle, Jeff Hardy, Samoa Joe, AJ Style, Bobby Roode - all these guys that have had all this success. I went, 'what's going on here?' I felt like I'd been pushed to the side and I have, so what? Who cares? Tomorrow's another day." 6:00 PM ET. Eric Bischoff claims he told Paul Wight (The Giant b/k/a The Big Show) to leave WCW and go to WWE: "I didn't mind when Paul Wight came to me and said WWE offered him $1 million a year for ten years. I was like dude, you need to take that. You need to go now, lemme give you a ride to the airport. That was then, Paul's obviously matured. Paul was very young at the time and was going through a lot of other stuff. Paul's clearly gone on to be somebody you know, noteworthy in the industry. But at that time, man, he just wasn't putting a lot into it." One source claims Dean Ambrose will be on Raw tonight. We'll just have to wait and see. In this report on Jim Neidhart from TMZ, Jim's wife Elizabeth says he was having trouble sleeping, got up to adjust the thermostat and then "turned weirdly as if he were about to dance" and suddenly fell, hitting his head on the wall. She called 911 and reported that he was having a seizure (his last one was in December) but he did not survive. The Pasco Sheriff's Office also confirms this account: "Preliminary information indicates that Neidhart fell at home, hit his head, and succumbed to his injury. No foul play suspected. No additional information to release at this time."